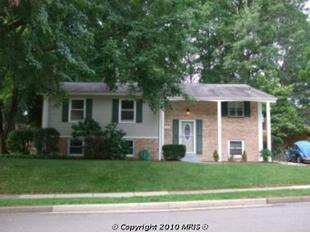 Active Military Can Live Almost for Free in Woodbridge, VA with No Money Down VA Home Loan! Active Military Can Live Almost for Free in Woodbridge, VA with no money down Veteran Home Loan! Here are a few snapshots of homes you can purchase with your no money down VA Loan and live almost free in Woodbridge, VA. These homes don't tickle your fancy.... See other Woodbridge, VA homes below where you can live almost free or customize your own search. So if you are PCS to the area stationed at Ft. Belvoir or the Pentagon, call your Woodbridge FHA/VA Lender to learn more. Or if you are renting and it's time to buy we can show you how to live "almost for free"! My last military client decided to make his monthly mortgage payment a discretionary allotment on his Leave and Earnings Statement(LES). So he feels like he is living for free with his BAH in Woodbridge, Va. Call 703-497-3936 to start living almost for free in Woodbridge, Va.
Woodbridge, VA is a convenient place for active duty military to call HOME. *Don't Forget to ask about your Military Mortgage Rebate! Happy Father's Day! Ever Wonder About the Origin of this Special Day? Virginia and Maryland Realtors, Would This Be of Value to You?